Stephen King often uses the character journey to provide the basic structure to his stories. The Dark Tower, which is about Roland's journey to get to the Dark Tower and solve its mysteries, is a good example of this. But within Roland's quest to the Dark Tower (which is motivated by a desire to right a wrong done in his youth), there are several included journeys. That is, he has to accomplish some important stages in the journey before he can achieve his ultimate goal. Roland, when The Gunslinger (the first book) starts, has been alone for many years. His best comrades and his dearest love have long since died. He starts out alone, but ends up almost adopting Jake, a boy who has been plucked from his time and place and deposited here. Roland almost seems to be ready to give up his lonesome ways, but in the end, he sacrifices Jake so he can continue his quest for the Dark Tower. This is an example of how to use the character journey in a series. If Roland had united with Jake and they ended up still a team at the end of the book, then the journey from alienation to affiliation would be over, and then what for the next six books? 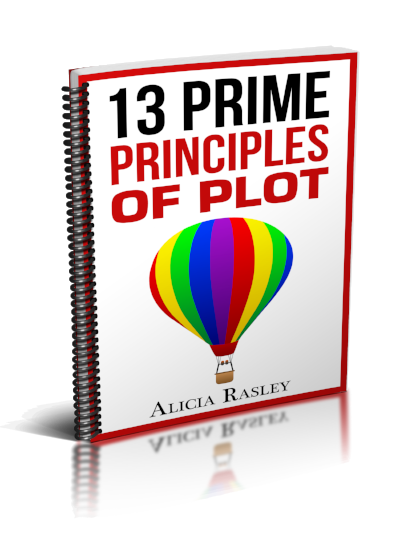 If you, like King, are planning a series with an overall plot (that is, not just linked books, but a true series with a series plot which advances with each book), keep that in mind. There must be some movement on the overall character journey in each book, but the journey can never been fully resolved until the end. In this first book, Roland is not ready or worthy to finish his journey (either the external one to the Tower or the internal one to affiliation). Instead, he needs to take a step or two in the first book. With the character journey, often there needs to be a step back before there's two steps forward. (That is, we often start to resist the change, even to the point of violent rejection, because change is harder than whatever we think might happen if we don't change.) Presented at the end of Book 1 with the choice between moving ahead in his external journey (to the Tower) and ahead in his character journey (to affiliation), he chooses the Tower. Each choice he makes, good or bad, teaches him something and changes him in some way, perhaps giving him more wisdom or motivation (like to make up for killing Jake) to continue on the journey. Point is... let the journey's start and end be the Alpha and Omega of the series. Mentally place those scenes, then you can determine how much of the journey belongs in each book. 2. Is the journey sufficiently complicated enough to take the whole series to complete? If not, let's talk-- how can you add more steps, or more competing pathways, or ? 4. Why is this block not easy for the character to overcome? 5. How can this "block" be used throughout the series to set the character back on the journey? 6. What must happen for that block to be finally resolved to allow the final stage of the journey? I found a live version of the Beatles' Help with John being impish. What did we do before Youtube, I ask you? When I was younger than I am today, I never needed any help in anyway. But now those days are gone and I feel less assured. I know I need you like I've never done before. Help, I need somebody! Older PostYour own character's journey: Comment here, and we can discuss!